Malo was a Latin teenaged rock and roll group. The San Francisco, California based ensemble was led by Jorge Santana, the brother of famed Latin-Rock guitarist, Carlos Santana. Four of the original members (Santana, Garcia, Tellez, and Bean) were previously in a band called the Malibu's. The other three founding members (Abel Zarate, Roy Murray, and Richard Spremich) were in a band called Naked Lunch together. Malo had a huge Top 20 hit single with the song "Suavecito" in 1972 that was written by timbale player Richard Bean, who initially wrote it as a poem for a girl in his high school algebra class. The song has been called "The Chicano National Anthem" and was arranged for Malo by Richard Bean, bassist Pablo Tellez, and Abel Zarate. Tellez and Zarate also received co-author credits on Suavecito. In addition, guitarist Abel Zarate gave Malo a distinctive two-guitar sound, with intricate harmony and dual solos the norm. The band featured full horn and percussion sections, in the style of contemporary bands Blood, Sweat & Tears, Chicago and others. Some of the best musicians in the bay area played in Malo, including Forrest Buchtel, Jr., Ron Smith, Luis Gasca, and Tom Harrell in the trumpet section. Malo's music also had a huge following in Central and South America, especially the songs "Chevere", "Nena", "Pana", "Cafe" and "Oye Mama". After the release of its first album, Malo had a well-documented rift that saw the group eliminate many of its band members. Buchtel went on to play with Blood, Sweat and Tears, Jaco Pastorius and Woody Herman - Harrell has become one of the most lyrical trumpet soloists of all-time, working often with saxophonist Phil Woods. Abel Zarate went on to play with Latin-jazz legend Willie Bobo and continues to play Latin/Brazilian Global jazz in San Francisco with his group Zarate Pollace Project. Richard Bean formed the group "Sapo" with his brother Joe, and is still touring throughout Northern California. Jorge Santana has embarked on a solo career, and still plays frequently with the current Malo band. Malo is also still touring, with only two of the original members, including Arcelio Garcia Jr., who took over the band in the late '70s. 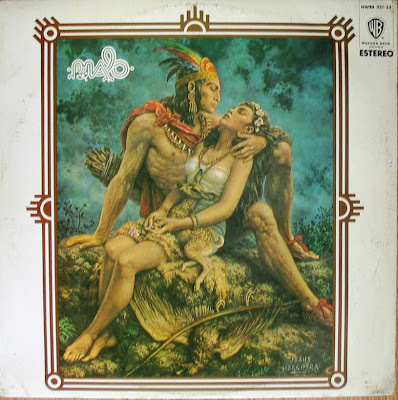 The 1972 "Suavecito" release was sung by Richard Bean with Abel Zarate, and Arcelio Garcia on background vocals, and Zarate playing the signature guitar riffs. Richard Bean continues to perform the hit single with his band Sapo and recently shared his story about "Suavecito" on CalMagazine.com, Channel 9. Pablo Tellez: Bass guitar, percussion. Richard Kermode: Keyboards, electric piano, Hammond organ, piano. Luis Gasca: Trumpet, flugelhorn, Vocals.